Chatbots and automated virtual assistants are the new tools that are taking social media by storm, changing how people worldwide interact online. 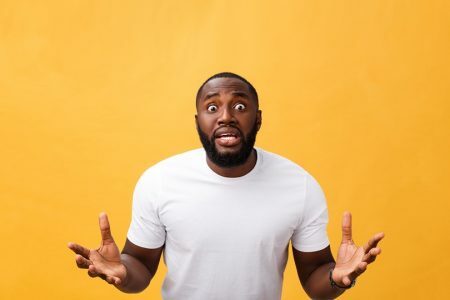 Conversational marketing is the way big brands and smart small to medium businesses are reaching wider audiences, engaging more and better with their prospects, closing more deals, and offering better support to their customers. 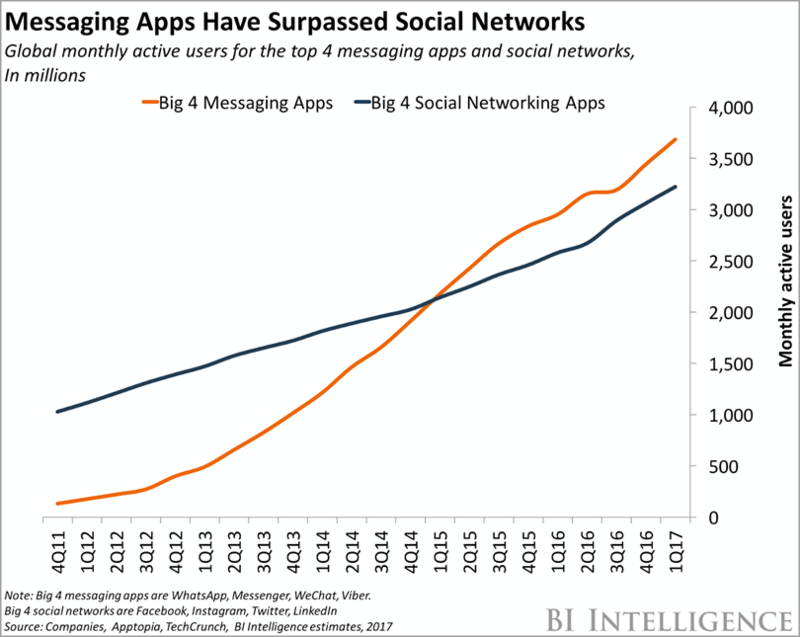 Without forgetting that messaging apps have surpassed “traditional” social networks with the number of monthly active users, so this is definitely a world that cannot be ignored anymore. In this post, you will learn what chatbots are, how they are created and managed, and above all, how they can be a powerful tool in your hands to boost prospects engagement and collect more leads. A quick note before starting: while there are many platforms on which chatbots can live (Slack, Telegram, Skype, even Amazon Echo and Siri) we will focus mainly on Facebook bots. For two reasons; they are the easiest to build, and the Messenger platform had over 1.3 Billion (with a “B”) monthly users at the end of 2017 – which means, basically, that the whole world is using it. A Messenger bot is essentially a piece of software that is linked to a Facebook page and intercepts messages that are sent to that page on Messenger. The most interesting aspect of this tool is its automation. As messages are typed by users in Messenger and “captured”, the software can interpret them – using complex Natural Language Processing algorithms or simpler methods for recognizing specific keywords and sentences – and reply autonomously, providing answers in a timely and usually very complete manner, 24/7, without interruptions or pauses. Getting started with chatbots is quite easy. If you know how to write code, Facebook has created a set of very ample Messenger API that you can use to build bots from scratch with your favorite programming language, from PHP to Java, Go or node.js. A faster way to create these automated assistants on any of the Facebook pages you control is with one of the many chatbot builder platforms available, web-based systems that marketers and business owners can use to create replies, link them to specific keywords or sentences and build a “tree” of answers that users on Messenger can query to get information, engage with a business and close transactions. What are chatbots useful for? Well, just think about this – for the first time in the history of digital marketing, we have a tool that can automatically interact with people in a conversational way, using a chat interface that feels more natural and “human” than websites or emails. 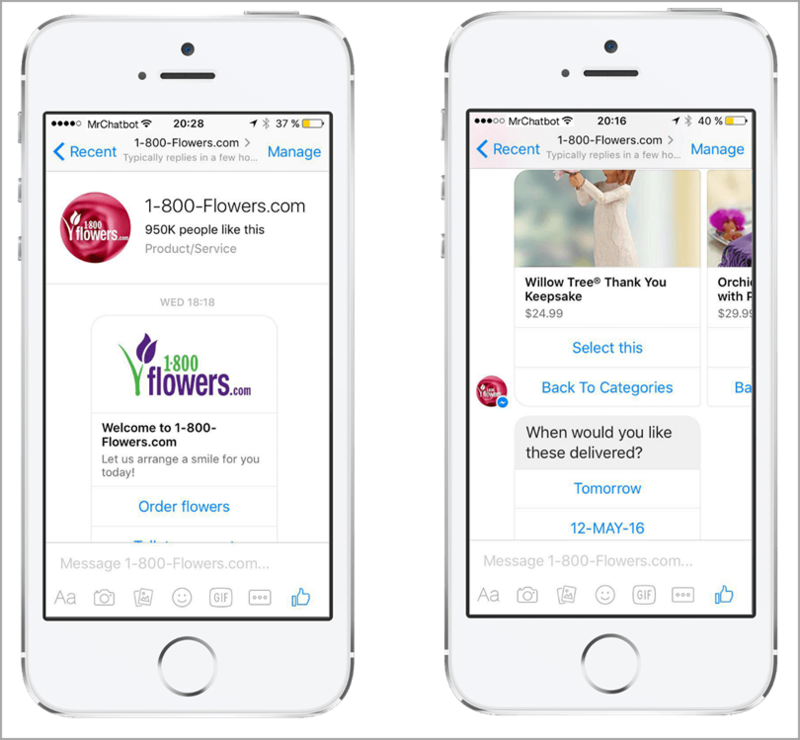 Given this revolutionary aspect of chatbots, they are first of all used to engage prospects and provide information in a very timely and personal way. Just imagine a local restaurant that has a Facebook page where prospective customers go to get information about business hours, the menu and specials. 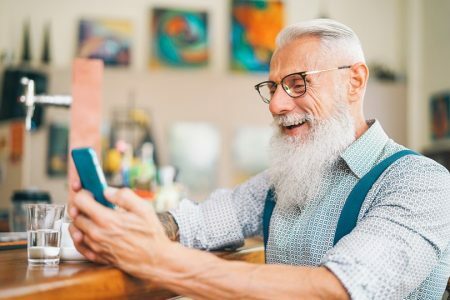 With a bot, those same prospects could start chatting with the restaurant, asking questions, and receiving answers directly on Messenger and therefore engaging personally and investing more energy and time than they would have done just looking at a Facebook page or a website, becoming more involved in the process and, inevitably, converting more often. 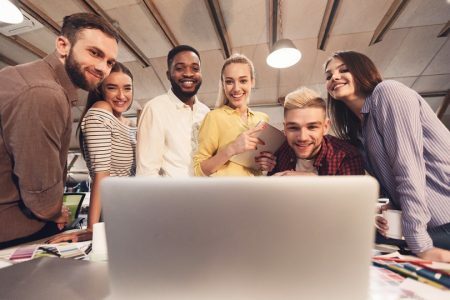 As if this was not enough, chatbots enable marketers and entrepreneurs to use an even more powerful tool for engaging prospects and converting them – marketing automation. As soon as a user starts chatting with a bot their details are shared from Facebook and can be collected and stored, just like you would do with a newsletter subscriber (the data Facebook provides is more limited than you would hope – for example, you very rarely receive the email address – but it’s still useful for reaching out to the user on Messenger in the future). From that moment on you can use these contact details to send messages to the user – always following the Facebook guidelines and policy, obviously – creating “drip” sequences of communications and guiding the prospect on a path to conversion. Since you can also keep track of the conversations that a user has with your bot, these contacts can be extremely targeted and laser-focused. You can create a series of messages for people who activated specific replies and asked certain questions, or you could “tag” users and then create marketing automations linked to tags and engagement types, depending on what they asked, what information they were exposed to, how much they actually talked with the bot and so on. 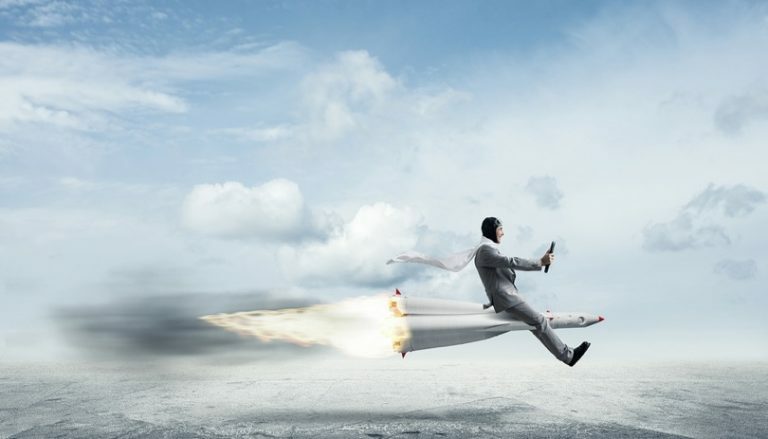 The ultimate goal of any marketing campaign is very often collecting a lead. So, while as you have seen above the Messenger system gives you some information about users who chat with your bots, these automated systems can be used in an even more complete way for acquiring information about potential customers. 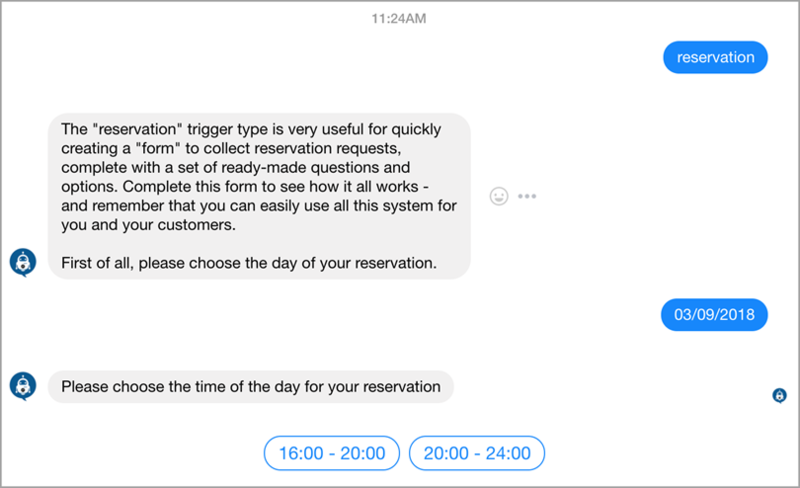 Going back to the restaurant example we mentioned before, a chatbot can be easily programmed to let users schedule a reservation, giving them an easy way to interact with the system and allowing the business owner to collect more leads with all the information they need. As you can see in this sample conversation, the bot will ask questions to the prospect, presenting choices (like the day they want to reserve a table for, the hours and so on) or leaving the answer open, collecting all this data just like it would do with a web form or a phone reservation. 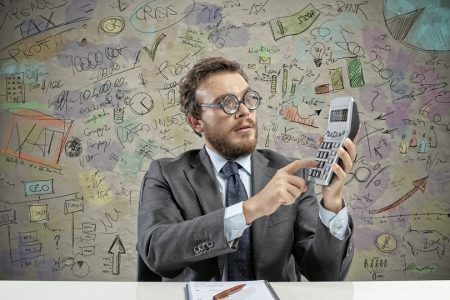 The advantages of this approach are that, first of all, the process feels a lot more natural for the user (they are literally “talking” with somebody, just like they would do on a phone conversation – but automatically) and, secondly, it all takes place on a platform – the Messenger system – that they already use frequently every day and that is constantly in their pocket, ready to be checked as soon as a confirmation or any other alert is received. So, in conclusion, chatbots are one of the few “new shiny objects” that have come out in the past years that honestly deserve a lot of attention and interest. Getting started is very easy and a social media strategy that doesn’t involve them is inevitably bound to fail. Don’t you agree?